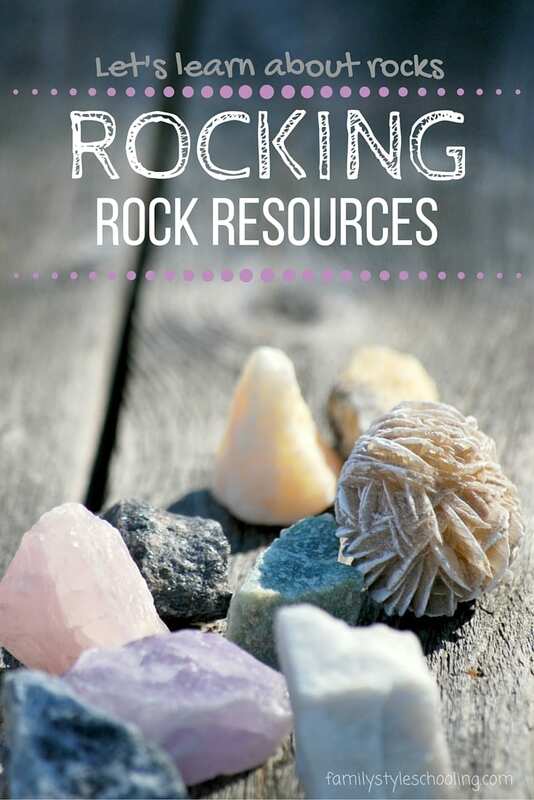 We've been learning about rocks this year, and I love gathering resources for my kids to explore. Rocks happen to offer a wealth of opportunities for cultivating observation and practicing comparison. They also have the dirt factor going for them. You know, anything that mom approves of that you can get dirty without getting in trouble is a bonus! I think science needs to be experienced, so we don't do a whole lot of "formal study" when they're young. As my kids get older, we move into Apologia science text books. Since I know that we'll dig deep later, in the elementary years I love to cultivate wonder. You might be thinking that those questions aren't very profound. I'm good with that. It takes asking really basic questions and truly wanting to know the answer for deeper questions to form. Wonder begets wonder. It builds upon itself and grows. Often I answer my children's questions before they even have a chance to ask them. When I give them an information that they aren't curious about, they could care less. It's much different when they've initiated the inquiry. Their attention is focused on the answer. 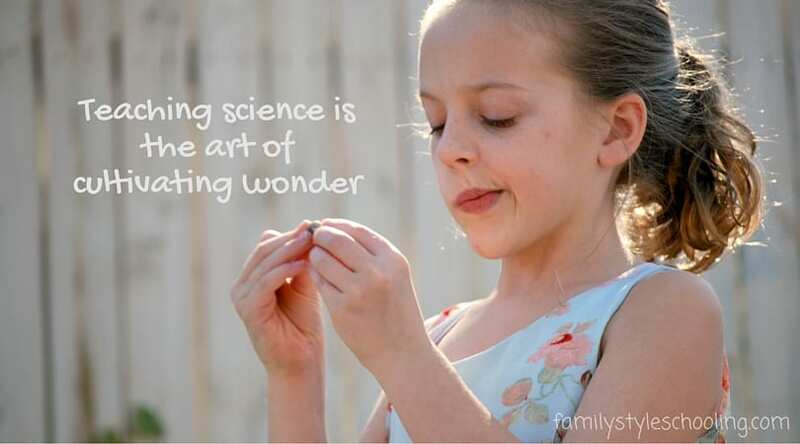 The best things to utilize to develop wonder are ROCKS! Go outside and see what's in your yard or park. Use a field guide to see if you can identify it. If you don't have a great variety of rocks in your area, this Rock On! game has a wonderful selection of rocks to play with and study. 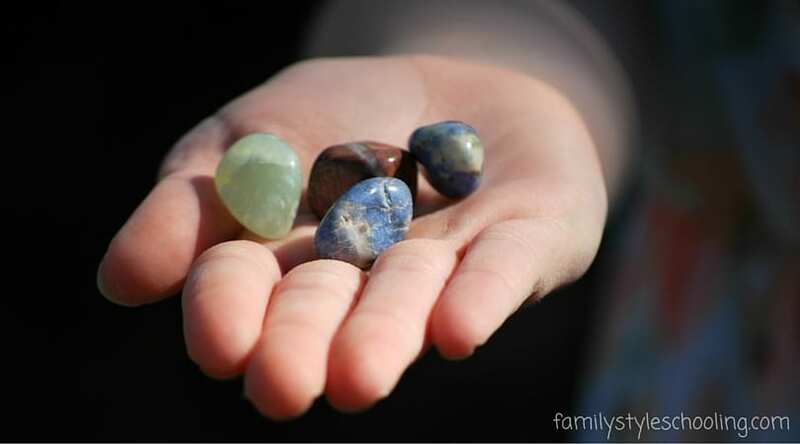 Break a geode or grow some crystals, and watch your child grow in wonder. I love our little digital microscope. It's an amazing tool to get a closer look at common objects. We could spend hours looking at our finds from our nature walks. Keeping a nature journal can further cultivate keen observers. You really have to look at something carefully in order to draw it well. Finally, I keep a basket of great books that give more opportunities for discovery and wonder. The library is a wonderful place to gather resources like this. I also am always on the lookout for great books at used book stores and garage sales. Check out my recommendations in the Amazon store below. 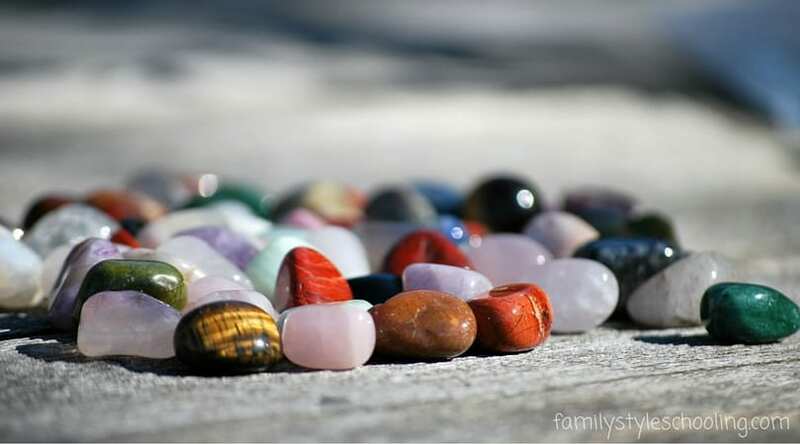 What do you use to grow your child's wonder of rocks?